In 2013, the University of South Florida completed a study on the effects rodents have on small businesses and private homes. The study found that as the human populous grows, so does the rodent population. There are a number of reasons, but the largest and most important take-aways are that humans have been providing unintentional shelter for rodents and endless amounts of food. Rats, mice, and other rodents will stop at nothing to get the food once they’ve had a taste. They’ve been known to ruin furniture, building materials, and even electrical wiring! It’s not realistic for us to just not create waste through garbage just as it’s impossible for us to survive without our homes. This means that the rodent population will continue to explode unless we do something about it. If you’re ready to take back control of your personal space, contact Montgomery Exterminating! Our rodent control services are available as a one-time service or ongoing service every month. 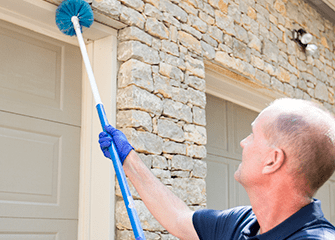 Our team of rodent control professionals will stop at nothing to eliminate the infestation that you may not even know about before it’s too late. And once the pesky rodents are gone, if you’ve chosen our monthly rodent control services, we’ll make sure they don’t come back. We’ll start with a thorough inspection of the property to determine if mice or rats are present, where rodents are entering and to identify conditions that are conducive to rodents. ME will eliminate existing rodent activity inside the structure using tamper resistant bait stations and other rodent control methods if necessary. If the problem is severe, we may also install rodent stations outside. With monthly service to maintain rodent stations, you can relax knowing ME has the rodent threat under control! Bundle Your Rodent Control And Save! Did you know Montgomery Exterminating offers pest control programs that can include regular rodent prevention plans for homeowners? Learn more about these plans below!